"I only can reccomend GetFeedback"
GetFeedback is a valid platform that helps you to understand your customers needs. The interface is beautiful and simple. Also the Salesforce integration is really helpfull to keep anything on track. The service is fast and provides you all the tools you need to create good surveys with useful advices from the team. It's also great that you can create beautiful responsive design. It's a shame that I can't choose a specific language (since we work with many clients accross europe that speak different languages). Also have contacts with the customer service can be difficult. If you want to give your customer or potential employee a tool to quickly scan their ideas and opinion this is the best tool you can ever use. The solidness of GetFeedback is reflected towards our business. We can create and somministrate surveys to our clients and/or focus groups in minutes and keep records of them with ease and no difficulties. The platform saves us time and efforts. So we can set our mind on the content rather than on the making of. "Gorgeous UI & Extensive Options"
Ability to customize everything! My own logo, yes/no, A/B pathways and the ease of use to set up from an admin perspective as well as easy to click-through from a user perspective. I got a much higher success rate with surveys from this application than any other. It's easy to use for me and for my customers which makes it a huge success and worth the price. Getfeedback is expensive to use so if you're not utilizing it regularly, it might be hard to see any ROI. If you utilize surveys and survey responses often than this is worth the price. If you only need customer feedback once or twice a year, it can be a little expensive, but I think that depends on what your time is worth. Getfeedback is very quick to set up and easy to use. Keeping in contact with current customers and getting updated information from current accounts. Also getting great responses from customer service feedback surveys. It is a lightweight and clean application, it allows us to create dynamic and engaging surveys in a short time. We used Getfeedback to create surveys to assess customer experience and commitment of our staff. The results have provided us have been much better than expected. Is effective to poll the opinions of our customers, data collection (ratings and reviews) are reflected in real-time. Surveys are easy to customize and statistics panel is crisp and detailed. I love Getfeedback because it provides us with excellent results quickly. It is always innovating and adding features to its new versions, I have no complaints. It is a versatile app to collect feedback from your customers or staff in the organization. Templates reduce the time of creation of surveys and allows us to distribute them via channels such as email, SMS or social networks. The metrics that Getfeedback reports to us are important to evaluate the users' experience with respect to our products and services. "Ease to gather customer feedback"
It is make ease to collect customers' feedback in simple way. And, since it is available as a mobile application, it makes ease to provide the customer's opinion in a finger tips. It is gathering the feedback by mostly multiple choice questions and optional buttons. Because of that, anybody able to provide the feedback from anywhere. Always it is a great bridge with customer. Mostly it is awesome platform. Nothing to dislike. It is a time saving software. It is very helpful collect the customer feedback without meet the customer. And you will get very useful customer feed back, by simple questions. And, it is asking very straight forward questions. so that, the customer will not get confuse by the questions and give the exact opinion of them. So, you will get the accurate feed back about your product or services. Further, it is affordable price. So, it will not give major affect your money. It is helping to collect the customer feedback, without meeting the customers face to face. So, it is saving the time of both parties. And the client can allocate the time for business improvement. So, it is a time saving for both the parties. And, it is ease to understand by customer, and ease to give their feedback within short period. "Statistics is a point to improve." What I like most about GetFeedback is that it can easily run on all operating systems, it does not stop at all and work with an incredible and safe fluency, the simple fact that it works with different operating systems, it gives a strong advance because It could be adapted to different companies and could be expanded to more work areas. Another detail that I also like about this software is that it has a very accessible interface that provides immediate quality and manages to provide also a quite remarkable comfort for the client. When a software presents comfort in its interface, it has more possibilities to perform and progress. I think that the reports received from this platform should be more detailed and statistical, in order to help improve the products because that is what the client is looking for, to achieve innovation through opinions, but these opinions do not reach appropriately, they should be more detailed in my opinion. Many of my colleagues have given this point too, have touched the statistical field as a negative factor, if GetFeedback improved this, it would have a strong positive impact in many areas of work. Within my company it has been quite necessary the fact of having to maintain a certain quality control in the products, and thanks to GetFeedback we have been able to get this control of improvements within our organization, I hope to continue with this great contribution of this fantastic software. "GetFeedback has many interesting and beneficial features." I like getfeedback because it is a program that offers immediate results and provides many beneficial details, details that you can take for a long time to improve within your company, on the other hand, I also like the survey designs that it offers to all its clients , both those who distribute the survey and those who make it, this design gives a comfortable and easy route to people so that they feel comfortable doing this questionnaire, when we talk about getfeedback, we refer to a very well-designed program, with really interesting expectations that could easily collaborate business thanks to the opinions so important that it gives. What I do not like about GetFeedback are the very expensive prices it offers in its subscriptions, the prices are really annoying and high, thus leaving out small entrepreneurs who do not have enough resources to enjoy their services, this software should download immediately their prices to give way to those entrepreneurs who are so interested in being able to emerge through the opinions received. The price factor is still a problem in the current softwares that offer survey services, because they believe that because of the many good features they offer, prices should go up a lot, and no, these software should have low prices to be more recognized. I would recommend GetFeedback because I consider it to be a software that has many things to offer consumers and above all, it has many things that would interest entrepreneurs, such as arise in a simple way. GetFeedback as I mentioned, is a very well developed software and offers very good features and give immediate results, this software has helped me a lot within my company to be able to improve our products, the quality of them and the customer service, thanks to him, we have been able to innovate in our company, becoming one of the best airlines. GetFeedback has an excellent security and encryption in place. One major positive about this software is the ability to operate in any operating system i.e Windows, Linux or iOS. A free trial requires no credit card and the package can be cancelled, upgraded or downgraded any time. I even enjoy making surveys in this software as the website is easy to use and can be sent to multiple respondents via email saving us time and resources. I think the analysis and reports need to be improved a bit as I've seen detailed reports in other software. Yes, I would recommend this to people who's work involves a lot on relationship building. Getting feedback, both positive and negative, is part of job and must be taken seriously. These surveys can surely help us in becoming a better employee whether its a supervisor or a delegate. I need to engage a lot with my clients. For this, GetFeedback is the only tool I have to get customer insights. My clients may or may not like my decisions/actions and through this software I am able to improve as a professional. "GetFeedback offers a variety of features." I like because this program offers me features other than creating surveys, I mean that it offers me a variety of areas where I can vary my products and ideas, where I can receive other positive and negative opinions, where I can improve my services through different public ratings interested in what I offer. I do not like the prices of this program, because something difficult for the public, I think that if they reduce the cost, more people would use it and they would have more opinions regarding what they offer and so they could notice in which negative aspects could improve and thus make it better known, not to mention the cost seems to me an excellent program and I love it. I would recommend it to my colleagues to obtain the benefits they have generated for me, and so they can try this excellent program and can receive public opinions about their products and thus innovate them to make them better known, I love this page is very safe and useful. I have benefited since I have given positive opinions as negative about the products and I have managed to improve the quality of these, I have been able to know all the characteristics of the program and I hope they continue to innovate so that they reach more public. "Favorite survey tool out there!" There is some data manipulation that isn't as complex as I'd like it to be. However, it does enough for basic to intermediate data gathering. I always recommend this product to people looking for the right survey tool. It's easy, it's slick, and it's designed for a novice or a data collection expert. Everyone to whom I've recommended it has been impressed and happy. I like to use this tool with my clients to gauge interest and understanding in their social impact programs and what the possibilities are in designing appropriate initiatives. It's been insightful for both the client company I work with as well as for me to gather necessary information. I've also used it at speaking engagements and have the audience fill out two or three simple questions before my talk starts and we can view who is in the room real time. "Great branding - not as much customization as I'd like"
I love how easy it is to use. There is nothing difficult about figuring out the ways to make a survey/dashboard. I wish it was possible to delete or edit certain things. For example I would love the ability to move the picture to a different place on the page or delete a somewhat agree/disagree on some of the questions. Take some time to get to know the functionality. There is a lot you can do with the product and a lot that you can learn by playing around with it. We use this for candidate experience. We have just begun using it, but I am hoping it helps with our response rate. I've recommended this to people multiple times and use this every day in my business development cycle- I've essentially made a qualification questionnaire that works great. I didn't know that responses were accessible within GetFeedback, I thought it was email only. I've been using this for almost a year and had no idea about that OR the cool dashboards. Some training would've been nice. Would also be nice to integrate to SFDC but not ready for that when I can post into chatter. Go through training. I didn't and there was a lot I didn't know this solution was capable of. All in all- the surveys are very easy and intuitive to build. Great interface. Business development email improvement for people not taking calls. The survey builder is super easy to use. Getting beautiful custom surveys is simple and not time consuming. Plus I love the in-email question feature. It's expensive, the downloadable reports are annoying in that they don't show you who you've sent the report to, they only show you completed and partial responses. Great tool to send beautiful, easy to respond to surveys, BUT the overall tracking is terrible. I.e. the system can't tell you who you've sent the surveys to via email. So I have to keep a separate excel sheet to track this info. Also follow ups/reminders aren't available in the free version, unclear about the paid version. We send our renewal surveys to clients via GF. It's been helpful in sending out clean surveys to our clients and getting prompt responses back from them. We typically send out 5-10 surveys per month. GetFeedback is a solution that's easy to implement, looks fantastic on any device, and is extremely user friendly! The fact that I can pass results back to Salesforce makes it even better! It helped me take a manual process that involved many steps, to a completely automated solution that everyone loves. I wish I had something to say, but this product has been a pleasure to work with and I haven't run into any issues yet! We use GetFeedback in an extremely unique way. The non-profit organization I work with has a helpline that members of the community can call into for assistance. Prior to GetFeedback, volunteers would log call details (age of caller, type of issue, resolution, etc) on a spreadsheet that was combined each month to gather statistics. Using GetFeedback with Salesforce, we're able to automatically send a GetFeedback survey to the appropriate volunteer after each call, and the results are posted back to the Salesforce case, which then closes after the results are received. The best part is that I haven't had a single complaint yet! "Easy and streamlined to administer and enjoyable for our clients to use, resulting in more feedback." Easy to set up and administer in the back end. Beautiful, intuitive and easy for our clients to use which is extremely important in our business. The responsive ease of use on all types of devices regardless of size and shape is a huge plus. There is not much I don't like about GetFeedback, If I had to pick something, it would be the price, there are a number of features I would like to utilise but I just cant justify the jump in price in order to get them. Get on board! GetFeedback is so simple to use in the back end, visually beautiful and easy to use for your clients, which results in way more feedback being received. It has greatly improved the amount of feedback received and allowed us to improve our services by listening to our clients and being proactive. Don't hesitate in using GetFeedback as your feedback and survey solution. "Awesome Tool, Easy to Use, Powerful Options"
I personally love the ability to build a fully customized survey experience. The entire survey can be branded to fit your unique company design. I sometimes get a little bothered by the UI. I think that's mostly due to lack of use. I tend to come and go from the Get Feedback solution in long intervals (often times months) so I'll forget how to do something and have to relearn it. Don't hesitate to give them a shot. We're looking to improve our customers businesses, so we had to have a survey tool that would allow us to capture their current state easily and efficiently (on mobile or otherwise). What we then did is log all that stuff into Salesforce. Now we can gather information from the surveys and report back to leadership on the performance of each program. Additionally, we can use the GetFeedback solution for NPS surveys. If you aren't doing NPS or eNPS (employee NPS) then I highly recommend it. It's been an instrumental gauge for our business. Its not a big deal but it would be cool if we could get insights about who opened the email / clicked the link when the survey is sent through the platform. We are using it across the board for automating our CSAT surveys for support cases in salesforce. By moving to getfeedback, our response rate on CSAT surveys went up by 10%. A few months ago, we did an NPS survey across our entire client base using Getfeedback for the first time. Again, we were blown away by the high response rate. We would have to give credit to the UX provided by Getfeedback to our clients. Ease of use, quick stand up, very intuitive. Extremely helpful Knowledge Base/Help/Guides provided. Needed very little training to get the "Proof-of-Concept" functional. Very professional state-of-the-art looking survey compatible with desktop and mobile use. It appeared the more they knew about how we would use the product, the more expensive it became. Survey logo could be pulled from a static resource or merge field from the Salesforce object rather than uploaded. Focus your implementation on a single use case and move on from there. Think through how many people need to build vs. deploy your survey. With the Salesforce integration and custom object, users can build surveys all day long, but a Salesforce Admin is needed to create fields and do the mappings. Calculating some industry standard statistics for our business service. Able to level the playing field with competitors who already provide such stats. Outside of my overall satisfaction wit the customization, navigation and report summaries for the surveys themselves, I was exceedingly happy with customer service interactions. All of my queries were answered promptly, and when faced with a billing error (due to my own inaction), I was still refunded for a month that I did not use. Nothing, in particular, comes to mind. However, if I were to nitpick, I suppose it would be nice to produce the summary slide graphics that represented a select portion of the responses. For example, for everyone who responded "C" to question 3, this is how the responses look. We were able to reach a much larger audience by using GetFeedback's services. Converting our hard-copy survey to a digital format was relatively straight forward. "Enterprise-ready Survey Tool, And a Must-Have For SFDC Shops"
Take full advantage of the SFDC integration. This is a killer feature. Think hard about how to structure your survey data in SFDC (a separate custom object for each survey? a generic survey response object for multiple surveys? or embed survey data directly into the core object that's the focus of the survey?). We've converted all of our customer- and employee-facing surveys from various homegrown solutions and Google Forms, to GetFeedback. The principal business benefit is having survey data fully integrated into SFDC, so that we can slice and dice the data based on anything else we know about that customer / opportunity / contact / project / support case / etc. in SFDC. This is killer-powerful stuff. Most people just "analyze" their customer survey data in a stand-alone spreadsheet, which is lame by comparison. "Easy to use, flexible tool"
Its very easy to setup logic, the base types of questions are also very flexible. Its good how you can choose different types of scales. Its also great being able to brand the survey throughout right down to button colours etc. If you drag and drop questions into a new slot the logic isn't smart enough to update with it so it doesn't let you move around questions with logic easily. Other than that it is great! Business benefit for Dynamo6 is that we can use a survey to allow us to understand our customer's in a more in depth manner. "Great online review management software"
I can manage all my reviews from all the top review sites all in one place. It helps owners keep track of their reviews responding to the negative ones before they are publicly posted. You can not add your own site if it is not available on the platform. I do recommend GetFeedback to any company. Reviews help potential clients make the final decision in doing buisness with a company so it helps a great deal. Generating reviews for our company was the number one problem we solved with GetFeedback. The software also helped solve any issues we had with negative feedback. We were able to address the issue right away and make things right with the client. It's a little tricky to create Salesforce-aware surveys. It's really worth giving it a try. To be honest, I haven't tried other survey apps, but this one is so easy to use, it's easy to give it a trial run. With many business apps, a free trial is offered, but the learning curve is steep. With GetFeedback, it's just a matter of click & go. We use this for many things. It allows us to to do general NPS surveys of entire installed base as well as more targeted surveys for sub groups. It's also very helpful when conducting employee surveys on company meetings and other employee-related issues. "Great tool, easy to use!" Interface is clean which makes it extremely easy to build, deploy and analyze surveys. The ability to add some company branding and put out an extremely professional looking survey is top-notch. Nothing, really - I have personally launched many surveys and have not come up against any shortcomings. Highly recommend as GetFeedback is simple to use, but extremely powerful. We use GetFeedback to gather information both internally and externally. As a company with a culture built around employee satisfaction it is extremely important to have a tool we can quickly deploy to get feedback from employees on programs and investments. Externally, we use GetFeedback to survey our prospects an customers on a range of market-driven questions. The ability to quickly develop and deploy surveys has allowed us to be more confident in decision making, along with improving our engagement with both employees and customers. "Really easy to use, the logic is a little tricky to work out at the start but super effective. " I liked how user-friendly the interface was. The logic also allows for many different possible pathways a recipient was to fill out the survey and then be directed to different outcomes. It also allows for full CSV export of data from the completed surveys. The logic did take quite some time to work out, perhaps if there were more helpful articles on the different options, that would have saved me some time. I also found that as I had a business account and a personal account, you weren't able to just transfer or copy a survey to either account, I had to completely recreate it all which was annoying. "Dead simple surveys as easy as making a PowerPoint!" I think it was our GetFeedback sales rep who used the PowerPoint analogy to us when first showing us the survey builder. It really is so easy to build a professional looking survey that I've put the app in the hands of two completely untrained staff members and their surveys came out looking just as good as anything I've ever built in the past! Since all the surveys are completely mobile friendly without any additional setup needed, this ensures that as our customers shift more and more to mobile devices for emails, that when they launch our survey link on the mobile they will hopefully follow through with completing it too! Other than simplicity of use, Salesforce integration was another feature that narrowed down GetFeedback as being one of our possible vendors. Their integration is easy and was setup completely in house by a Jr. Admin in a matter of only hours. There's also a lot of flexibility with the integration in regards to where survey results can be stored in Salesforce, and since we use a lot of custom objects this flexibility was very important for us. Don't let the simple GUI fool you though, because GetFeedback does have a lot of power to harness too. We've leveraged it's branching logic builder to build some very dynamic surveys that take a user through different orders of questions, excluding ones that aren't relevant, all based on the product they have in Salesforce that is pushed through into the survey. In some competing products we would have had to build unique surveys for each product, and this would have been an inefficient use of time for our small and nimble admin team. Sometimes it's <too> simple and we find ourselves wanting just a little more customization on the survey pages, such as the ability to have two questions on a page (if questions without long answer areas), or the ability to control font size/styling. On the flip side, I also understand them forcing users down a fairly standardized format for surveys because this does help ensure optimal mobile compatibility, which may not be as ideal if users can customize too much of the display elements. As we continue to leverage GetFeedback more and more, we're finding ways to leverage it for the obvious customer feedback, like CSAT and Net Promoter scores, but we're also leveraging it in some more advanced ways to send information gathering surveys that cuts down on agent time and reduces data input errors by allowing the customer to directly provide information we need in various scenarios. "Easy to use but has limitations"
it has a fresh and crisp look and feel to it; Great user interface, easy to learn how to use. Expensive for what it offers, can't download results and graphics. You can only download results as an excel spreadsheet so you have to recreate all graphs and results yourself. When sending a reminder email, you have to create the distribution list manually every time. It doesn't track who you sent the initial invitation to and who has clicked/ bounced/ answered the survey already. (At least it doesn't show you who has.) It doesn't save the wording from previous reminders either. Would be helpful to just be able to copy and paste for future reminders. can only show one question at a time. Communications with customers- getting their feedback on issues and opinions on products. Learning what matters to them so that we can continue to improve our products and services. 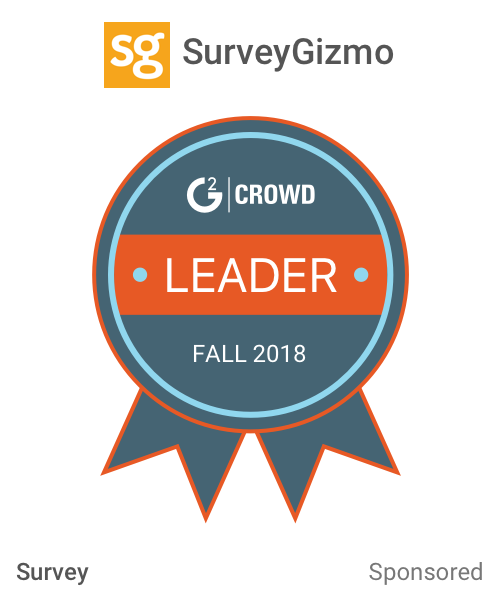 "Slick survey tool with seamless built-in integration to Salesforce.com"
Each survey in GetFeedback is easily customizable to match company/project branding and painless for users to submit responses, including on mobile devices. I also love the integration allowing responses to be stored in Salesforce.com so that we can trigger business workflows and report on results with ease. My only request is that GetFeedback allow multiple Owners per survey. Without this, we are left with frequent transfers of ownership when group collaboration is required on a survey. We use GetFeedback for both customer surveys and employee surveys. Automating the send and collection of data via Salesforce.com has saved us manual effort and ensures surveys are sent every time. We're able to quickly follow-up with respondents where appropriate and make quicker business decisions with the data at our fingertips. "Beautiful branded surveys integrated to Salesforce"
The seamless integration to Salesforce makes this tool invaluable. It does everything that other survey tools do, but better! Easily brand your survey to match your company, and then monitor the responses from Salesforce! The cost per user is intimidating to Salesforce org's that have a limited budget, when compared to cheaper (Or free) survey tools; however, you get what you pay for! Work tightly with your Salesforce Admin to insure you are getting everything out of GetFeedback that you can. Get feedback is an easy and intuitive tool. It makes it really easy to engage with clients and employees. It has really good salesforce integration which helps us cross reference our survey data with our database. On the back of this it enables us to use additional features in salesforce that compliment the getfeedback tool. There isn't much to dislike, I've only every had small issues which have been resolved by the support team very quickly. They have recently introduced a new dashboard feature it is good but needs some work. They have been really open to feedback for improvements. Blue sky thinking it would be great if they could add mobile integration so you could survey your clients via text message as well as email. Really easy to use, just demo the software or do a survey for yourself. I'm sure they offer a free trial so just try it for yourself to see how easy it is to use. We originally brought the product to contact our client and soon relised we could use it internally as well to engage with our staff. It helped us engage with our clients and drive our Customer experience and insight forward. It's also helped us engage our employees internally to improve the business for them. If you currently aren't engaging with clients a tool like this can really help collect the data and use it in great customer insight. The end user experience is great, and setting up surveys is super easy! The Salesforce integration is also very straight forward to implement. You can't do anything custom beyond their built in options. However, for simple, easy to use and good looking surveys there are plenty of options. We use GetFeedback to send our customer CSAT survey, and have integrated the send and results with Salesforce so that all our customer data is in the same place. "Getfeeback collects valuable information for us"
Its interface is friendly and simple, it is easy to use and does not need complex training for its use. It provides a variety of predefined templates which reduce the time of surveys creation. It is a friendly and useful software for the team. I cannot think of anything negative about this software. It has all the basic functions for surveys and data analysis. Surveys and data analysis tools provide us with key information to make decisions in the organization. "I love Getfeedback, it's fantastic!" The survey builder is easy to use and surprising. Its interface is neat and easy to manage, the pre-designed surveys are beautiful and you can easily customize all your visual elements. It has worked very well for me. I have no complaints about its use. It is an effective solution for measuring customer experience. Feedback from our customers is invaluable in our decision-making process. The key trends and metrics that GetFeedback provides us are essential to improving customer experience. Simple Salesforce integration. Easy to create stylish surveys that look great on any device. Dashboard reporting could be a little more sophisticated. We used to manually pull a list of customers to survey and upload it all to our survey tool. As a result, customers often received the survey days after their contact. Getfeedback's Salesforce plugin allowed us to send surveys as we closed cases which has improved our response rate considerably. It's a capable product that serves us and our users well. I love how easy it is to administer and the user experience is seamless—which really helps with response rates. The pricing jump between plans makes upgrades/expansions harder for us to justify. GetFeedback gives us a tight feedback loop between our help content and our customers. By embedding GetFeedback surveys into our help content, we've improved article satisfaction rates by ≈50%. "Great Survey Tool for Marketing, Sales, and Customer Success "
GetFeedback doesn't just collect data for the marketer. It's great marketing. The mobile experience is terrific and being able to insert pictures and video helps tell your story. It's a pretty solid product. For our needs, I'm not sure if there is much I'd pick on. I'm excited to see how we can use it for more web experiences like quick tours. We use it for a number of things, but pre-model surveys are one example. We work with companies to build predictive models. The goal is to help them analyze buying signals and identify which prospects will go on to become great customers. It sounds like a big undertaking, but we've make the process pretty simple. We set up a kick-off call and send out a quick GetFeedback survey. It's interactive and it works great on a mobile phone. The information we collect is then mapped into Salesforce so that our sales engineers have the insights they need for an efficient 30 min kick-off call. The survey is one of our first customer touchpoints, so it really sets the tone for the way we do business. We want people to feel confident, and delighted by the experience. "Exceptionally cheap and functional survey tool - it actually ticks the boxes"
Really quick to get up and running. It syncs to Salesforce with varying degrees of complexity in a relatively straightforward manner. You can pretty much run with a single top tier license for your company. You can trigger the surveys from Salesforce automation and email alerts. To be honest, I haven't come across anything I didn't like. There are a few other vendors you can benchmark against. To be honest, very few meet the price/functionality of GetFeedback. Possibly the only other competitor here would be SurveyMonkey. My purposes were to use Getfeedback for creating an NPS and CSAT structure within Salesforce. This started to give the company insight into customer engagement. "Great UI and amazing Salesforce integration"
Their Salesforce integration works like a charm, is easy to configure and does not requires to code anything. Also, GetFeedback has a very nice user interface, and works very well on mobile devices. Maybe the Salesforce answers mapping is a very recurrent task. When you have a unique Salesforce object for storing the answers, it is difficult to map new surveys, cause you have lots of fields on the salesforce custom object. We are measuring our client's satisfaction on several areas, it's imperative to be ISO 9001 certified. We've automated several surveys easily using Salesforce processes and Getfeedback. "Online survey software that is easy, powerful and complete. " 1 - UX - the easy integration of media into surveys and polls helps reinforce our brand to our customers, and makes it possible for us to delight customers rather than forcing them through the usual slog of text-based questions. 2 - Salesforce Integration is a snap to set up. In minutes, we saw results data in our org that helped us understand how to better serve our customers. I highly recommend this product to anyone. While it's perfect for our B2B tech company, the administration is a snap - my daughter used it for a science research project. Are our customers satisfied with the level of support they're getting? What product development ideas are our customers interested in? "Phenomenal Customer Service and Products!" I have been an early adopter of GetFeedback and can say this... the team is friendly and smart, the customer service is through the moon. Timely responses and feedback on how to use the product and great online resources for their tools as well. Between having a wealth of answers online to having helpful customer reps this is a tool that is definitely worth your investment. Not crazy about the HUGE added expense for the Salesforce plugin. I have been able to receive higher engagement with forms for our customers in reviews and responses. I have been able to valuable insight that helps us make better business decisions... and most of all I am able to incorporate the system fully with Campaign Monitor ... have not utilized the Salesforce plugin yet. The simplicity in it's setup allows for extremely complex and detailed analytics for hardware designers. Making sure we are using the right combination of features that are compelling to users is key and this product makes it extremely easy to not only create a survey, but distribute it, and analyze the results. Being able to quickly insert pictures, create flows with rules has also been a huge time saver while setting up the survey. There is not much to dislike. As mentioned in other responses, it's simple, and that's the biggest perk. Biggest issue in hardware development is not fully knowing where to spend for R&D. Having the ability to quickly create a survey and broadly distribute is key to success for a start up. Having quick surveying ability also allows for better procurement decisions, inventory estimates, and demand forecasting. "Survey System for great feedback management "
My favorite parts of the GetFeedback Survey software are the mobile options. I can easily send and receive mobile surveys that are easy to use - ie: you get a sad face or happy face and that can be an easy way to give feedback. There are a lot of customizable options for all surveys you use that include written responses, NPS scores, yes/no's, thumbs up/down, etc. that make someone more likely to start and finish the survey rather than leave off from survey fatigue. The dashboards are also very intuitive and easy to use. There isn't much I like about Getfeedback - the system doesn't have many hangups. GetFeedback helps me to collect surveys and customer feedback in an easy and intuitive way. "Excellent and easy to use"
What I like the best about the tool is that it is extremely easy to use, since the input of the questionnaire, the distribution, response and analysis of the results. It really helps us increase decision making based on market and customer data. Some of the features like price collection are not easy to find alone. We need to contact administration team. Market investments with more assertainty and understanding customer behavior. With the toll we have been able to direct our investments on what is really valued by our customers. "Configuracion a tu gusto. " La opción de tenerlo en el fantástico móvil GetFeedback Surveys. Puedo enviar y recibir encuestas y es fácil de usar. Hay opciones para configurar las cuentas y eso facilita la realización de encuestas. De momento no puedo decir que me disguste nada, al contrato, estoy encantado con la aplicacion. Poder realizar una encuesta en cuestion de minutos atraves del telefono a facilitado el trabajo. Tambien pueden incorporar preguntas a las encuestas lo cual mejora mucho el programa tambien. "Easy to use, looks great, awesome salesforce integration"
Integration with salesforce is probably the most important feature for me. I love that I can pull fields from SF into the survey, and also use results from the survey to populate fields on a SF object. Super convenient for workflow automation. It also helps that the surveys look nice. Occasionally there is something I want to do but can't, like a type of question. Part of what makes getfeedback so great is that it's super easy to use and simple, and that can also be it's biggest weakness, lack of advanced customization. Automated workflow processes, for example, a customer can request a demo or follow up call via their survey, and that triggers a task in salesforce for the right person to follow up with. "Best Survey Tool - Hands Down"
Getfeedback is hands down the best survey tool out there. We have used several different services (SurveyMonkey, SurveyGizmo, Google Forms etc), and Getfeedback is 100% better than any of these services. The way UI and ease of use of the surveys on any device is amazing. Also, the Salesforce integration makes the decision to use Getfeedback a nobrainer if your org already uses Salesforce. There is nothing that comes to mind that I dislike about the product. I like how you can customize a survey based on what you need. You can also add rules so certain questions can be skipped based on previous answers. When you are looking at the responses on Getfeedback.com, the layout/format isn't the greatest. Wish the table was better formatted. For customer service, you have to email. I would prefer to actually talk to someone. We are able to survey our service customers and get feedback on a number of things such as response time, safety, ability to resolve any issues, etc. "A cost-effective, dynamic, and effective tool for our organization"
We enjoy the flexibility in designing our surveys including regularly monthly surveys as well as ad-hoc surveys. In addition, GetFeedback's customer support is always quick to answer our requests with useful improvements and tips for us. I wish GetFeedback had a managed solution similar to Medallia or Qualitrix. Never hesitate to reach out to the Customer Support team. They always know what improvements are in development, and also gather requests for customers to use for future development. Prior to using GetFeedback we did not have a way to proactively approach customers to gather satisfaction feedback and calculate our Net Promoter Score. We now have a dynamic and effective tool to monitor satisfaction and make improvements to our business. "Love this Product, how did we spend so much on surveys before getFeedback without SFDCintegration"
I recommend to anyone who needs help with reviews. Its an easy way to manage all in one place. I have talked to other services and this one is affordable. We are able to manage our reviews and increase positive reviews from our clients. Also the software is a quick way for our clients to post reviews without taking much of their time. 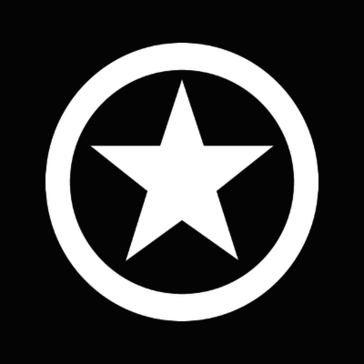 * We monitor all GetFeedback reviews to prevent fraudulent reviews and keep review quality high. We do not post reviews by company employees or direct competitors. Validated reviews require the user to submit a screenshot of the product containing their user ID, in order to verify a user is an actual user of the product. Hi there! Are you looking to implement a solution like GetFeedback?